DHS students participate in Healthy Living project. 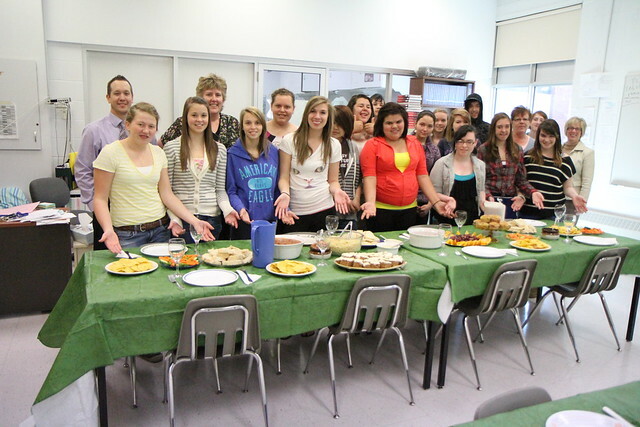 The DHS Food and Nutrition class presents some of the dishes that they created as part of the Urban Aboriginal Healthy Living Food Box project. The DHS Semester 2 Food and Nutrition classes participated in the Urban Aboriginal Healthy Living Food Box pilot project. The task was to take a healthy food box and come up with some actual recipe and food ideas that participants in the program could make. Food boxes will be available to residents of Dryden starting May 18th, and more information can be found by contacting Garden Market IGA at 221-2400.